as you all very well know, josh & i are big top chef fans ... i mean, who isn't?? and carlos gaytán, owner & executive chef of mexique, a mexican + french restaurant in noble square. 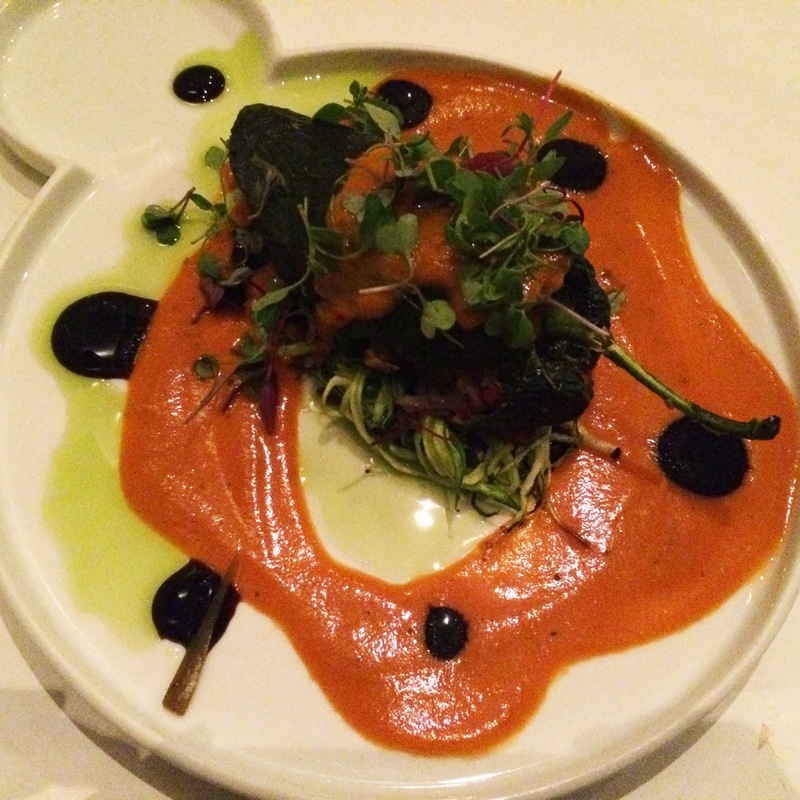 a bit of info + a bit of history : "mexique is a full service restaurant offering modern mexican cuisine with a french influence. french recipes & cooking techniques during the french occupation of mexico in the 1860s became an important element in the evolution of modern mexican gastronomy. come join us at mexique as we introduce this historical blending of french & mexican cuisine with a modern personal style by executive chef carlos gaytán in a fun & casual environment." interesting & awesome. to begin ... carlos was at the restaurant when we went ... and we chatted for a sec & he checked on us a few times throughout our meal ... no, we weren't receiving special treatment. he did this for everyone. i could tell, that's just how cool carlos is. can you imagine how giddy i was to meet him?? anyway, my fam went to mexique to celebrate me & my brother's birthdays. 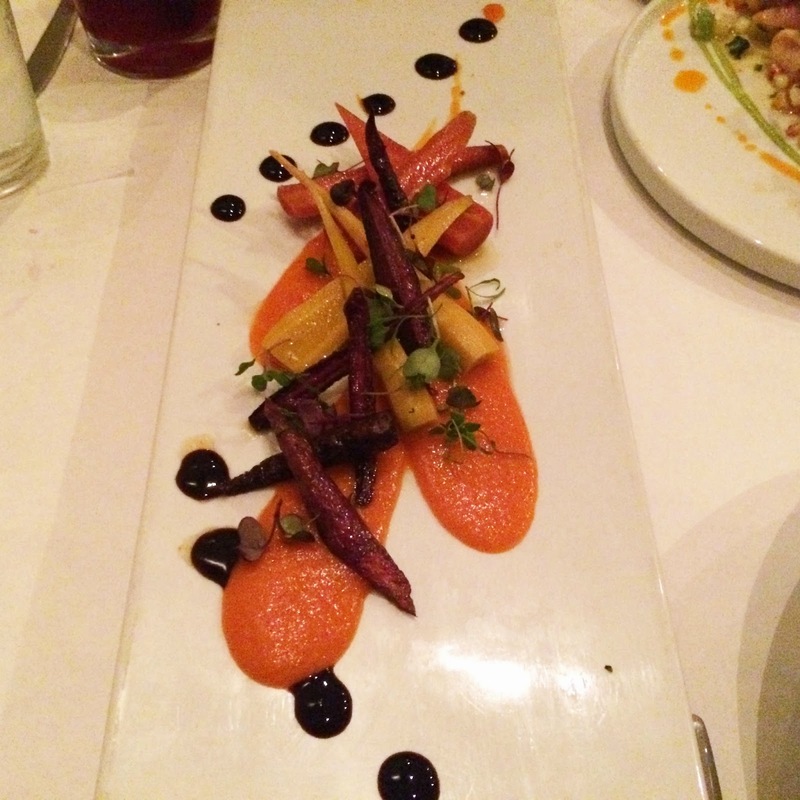 roasted baby carrots, spicy orange carrot puree, pickled carrots & chamomile tea poached carrots. that's a helluva lot of carrots. who knew there were so many preparations? each different & quite tasty. stuffed chile poblano, ratatouille, spaghetti squash & tomato fondue. wow. the best chile relleno i've ever had. amazing flavors, super filling ... i could eat that tomato sauce on anything ... everyday. très delicioso. also, it's written right on the menu: "can be prepared vegan." me gusta. i overheard carlos telling another table that the new seasonal menu would be starting soon ... which means i want to go back. who's in for a chef sighting & mexifrench?! ?